The water pump's like the heart of your cooling system, circulating the fluid throughout your vehicle. It's a small pump that's driven by the engine; usually by belt, but sometimes by a chain or gear. The water pump only operates when the engine's running. Water pump failure is pretty routine. We see it often at Charlie's Fast Lube Sparta. Some start failing at around 40,000 miles/64,000 km, but most fail by 100,000 miles/160,000 km. Consult your owner's manual or friendly and knowledgeable service advisor at Charlie's Fast Lube Sparta to see what's recommended. So how can Sparta drivers tell when the water pump is failing? If you can hear a low-pitched grinding sound coming from the water pump, it's got a problem. If you can see coolant in that area, you've got a leak. Some water pumps are driven off the timing belt. They might be under a plastic cover so you can't see the water pump. Look for coolant on the driveway. If you see some, have Charlie's Fast Lube Sparta check it out. Most timing belts need to be changed at 60,000 miles/97,000 km – some longer. It's a good idea to change your water pump at the same time if it's one of those that's driven off the timing belt. To start with, 90% of the work's already done with the timing belt change. And if you don't and develop a leak later, you'll have to change the belt again along with the water pump because the belt will have been contaminated by the leaking coolant. Charlie's Fast Lube Sparta can replace a failed water pump with a brand spankin' new one or with a rebuilt pump. 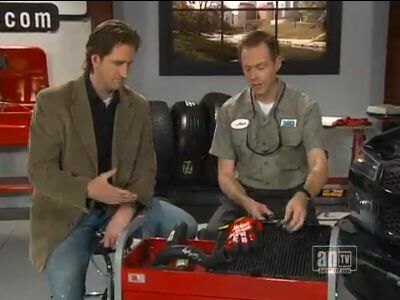 Rebuilt will save you some money, but ask your service advisor at Charlie's Fast Lube Sparta what he thinks. Don't feel too bad if your water pump gives out. They will all wear out eventually. We can get you back on the road and on with your life.